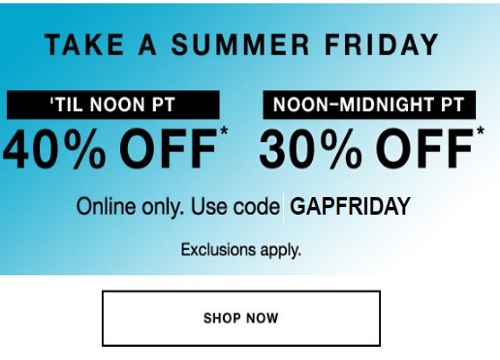 Gap has a Summer Friday offer today! Save up to 40% off your purchase with the promo code below! Enter the promo code GAPFRIDAY at checkout.